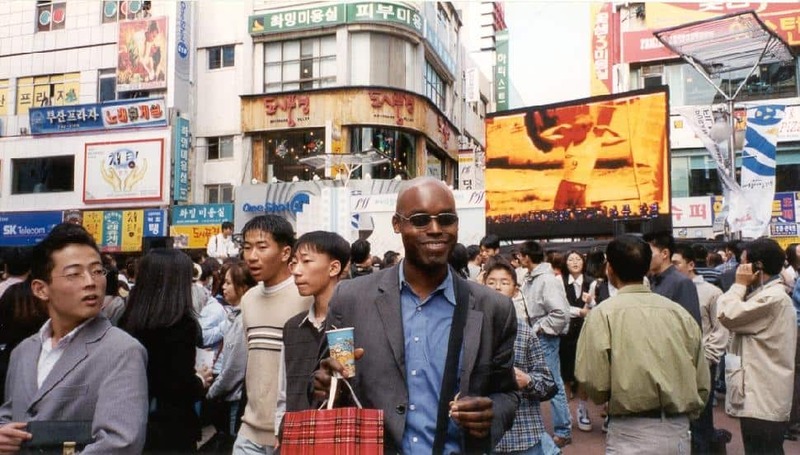 As the artistic director for the Toronto International Film Festival, Cameron Bailey has been around the world a few times over in search of pieces to showcase at the much-anticipated annual event. It’s in this experience that he has come to truly understand the importance of place in storytelling, the differences in appreciation for film across different cultures, and the necessity for diverse perspectives when it comes to showcasing productions on a global stage. He tells Canadian Traveller more in this one-on-one interview. Let's go to your childhood. You were born in Barbados, correct? Yes, but I was born in England – in London – and lived there for the first four years of my life. In fact, I had my fourth birthday on a ship on the way to Barbados because my sister and I were moving there to live with our grandparents. So, I guess that was my first real travel experience. I was in Barbados from ages four to eight. So how do you identify when people ask where you’re from? Well, I guess it probably depends on the context – it depends on who’s asking and what they want to know. But all of that is a part of my background. My family had been in Barbados for many, many generations. My parents left there to go to the UK for their education and to start work, so I was born in the UK – I had a British passport for a while. Obviously, there's a long history between Barbados and Britain – a long and sometimes painful history, but if I had to choose one place, I’d say I'm from Barbados, although I've lived in Toronto most of my life. This is probably the place where I feel most at home, though I can’t say I feel 100 per cent at home in any one place. Because I moved around. Because I love travelling. Because I feel at home, in different ways, in a lot of different places. I had to change my accent twice before I was nine-years-old just to fit in; I had a British accent when I landed in Barbados and I had to lose that fast because they were just merciless in mocking me for it. And I had a Bajan accent when I landed here in Toronto and I had to lose that fast, too. So I am used to shifting places and cultures, and I actually like it. Do you travel back to Barbados frequently? Not frequently enough. I haven't been in about two and a half years, but for about 10 years or more, I was going every single year. I have a young son, and my wife and I have taken him down there three times now. He’s eight-years-old so he's a bit overdue for the next visit, but we go as often as we can. You've been on the road a lot! 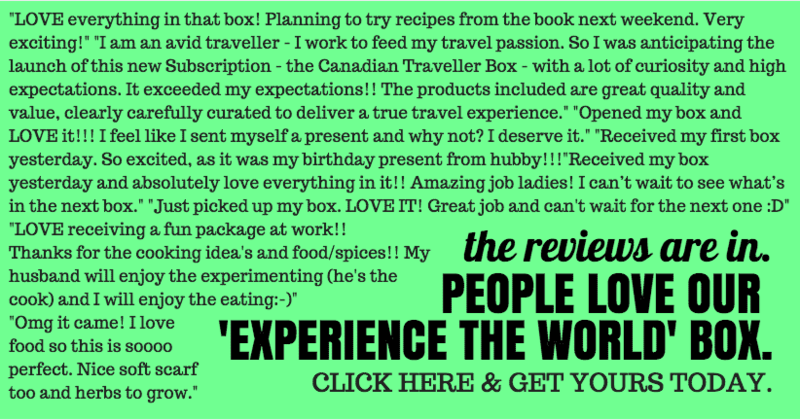 Is it hard to make time for your personal travel? Yes, but we like to go to new places as well. It's great to go back to Barbados; we had a wonderful time the last time we were there on the East Coast of the island. 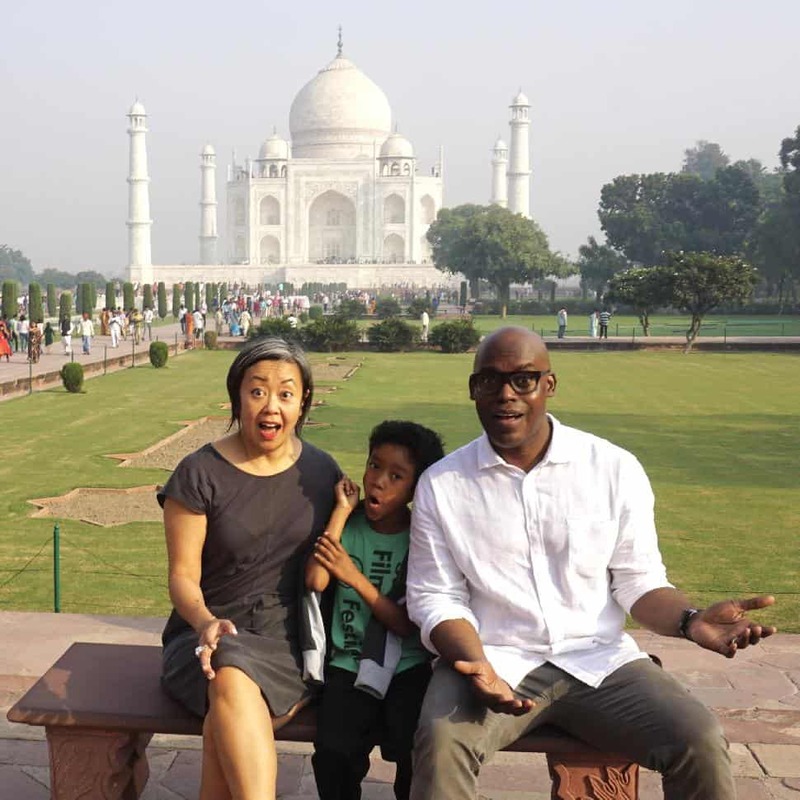 But, we had the opportunity, for instance, just this past fall to go to India together and although I go to India a lot for work, my wife and son had never been. So that was really our big family trip for the year. I hear India is particularly special to you. Yes, and kind of purely by accident. I went for the first time through work in 1994; there was a festival in Calcutta that I went to and a couple of my colleagues at the time were there as well. And then, I didn't go for many years, but when I came back to work at TIFF after a hiatus of several years, I was offered the opportunity to be the programmer for South Asia, so that meant I would go to India, Sri Lanka and other places more often. And I just started going because I was assigned the region and I had to get up to speed quickly. It's just a vast film region with incredibly robust production in many different languages, and the only way to get to know it was to go there often, so I did – as often as I could. And so why did you decide to take your family? I loved it for many different reasons. India, specifically, is unlike any other place that I've been in the world, for sure. It has a kind of diversity and a vitality that is hard to match anywhere else. It's so rich in culture, so rich in history. To come from a place like Canada where, at least the history of colonized Canada, the nation only goes back 150 years and then go to a country that dates back thousands of years and it's all there visibly everywhere you go – the religion, the culture, the languages – it’s just a different depth of experience. You could get it through engaging with the Indigenous culture here, but it's just not as visible; not as present. Then there’s the fact that it is the most movie-mad country on the planet. And, you know, I like movies and I like film culture and this is a place where you can talk film with anybody – literally, anybody; everyone has an interest and a knowledge of some kind of cinema in India. I was going to say it's like hockey here but it's not; it's beyond that; the whole country is immersed in this particular form of culture. It's amazing. Do you think we’re lacking this sort of thing here? You know, I don't. One of the things I've learned – maybe through travel – is to take each place as it comes. So Canada is very specific in that range of cultures that are on offer and the diversity of experience you can have here, which you can't have in most other places; most other places have a very strong dominant culture. And so that’s what is great about Canada but it's also what is great about going someplace like Sri Lanka; you can feel like the entire society is connected through different kinds of cultural forms. I like both realities and I don't expect one in the other place; I really take what it's giving me. Right. So, you have a love for film and a love for travel. Did you ever anticipate that these two things would intersect? You know, I learned it as I went along. I first came to film through studying it in university, so it was a very academic exercise – looking at a film and thinking about it and writing about it. I didn't realize until much later that you can go to places where people are making the films – you can meet the filmmakers and you can have great experiences travelling all over the world and going to where people are making movies. I've been on a set that was not even a set but an actual neighbourhood in Manila. I followed a filmmaker as he was shooting one of his films – Brillante Mendoza, who went on to win prizes in Cannes and Venice and in other places. This was when he was fairly young and he had a crew of maybe four people, shooting in a pretty rough neighbourhood; just to follow him around really taught me more about film than I could ever learn in a classroom. That kind of thing is really helpful. Or to sit in a bar in Reykjavik with Icelandic filmmakers and hear them talk about this tiny country and its film production. Being on a jury in Zanzibar, which is just a totally magical place. All of these things are amazing and film gave me that. I mean, I'm very fortunate and I am not under any illusions about it, but there is a group of people who get to travel around the world – they're either filmmakers, or they buy and sell films, or business people, or film journalists – and you'll see them in different places; you'll see them at Cannes and Berlin and Sundance every year. You might see them in Reykjavik, you might see them in Johannesburg, Mumbai, Tokyo, Hong Kong. It's great. When it comes to storytelling and film, what do you think is the importance of location and the importance of place? It’s important in so many ways. We’re all subject to the dominant way of screen storytelling, which is Hollywood filmmaking. And there are some beautiful and dazzling things about what Hollywood has offered us. But, it has also told us that there's one main way to tell screen stories – that's just not the case. So it's great when you travel because you get to see different kinds of sensibilities. For example, what's normal in a film in Eastern Europe might be considered astringent and sometimes harsh to us; there's sense of humour that has a much sharper edge to it than what we could find in North America. Then, there is the North American idea of a single protagonist; the single hero who guides you through the story and you follow their journey. That's not the way that West Africans traditionally tell stories. They are more social and all about the group dynamic. That's true in much of East Asian cinema as well, and how the individual relates to the group is most important; those stories that conclude in harmony as opposed to the hero triumphing as an individual. That's a very different approach to storytelling as well. So, the Hollywood model is fun to watch but it's only one of many different ways you can tell the story of a movie. Right. And I understand that's been part of what you’ve done with TIFF – taking it away from what may have been perceived by some as pandering to Hollywood for the sake of making it more inclusive on a global scale. I think different types of storytelling is really important – increasingly so as our world is more connected through digital technology, and the fact that we can get on planes and go to another part of the world in the same day. These realities mean we have to understand each other; we're in each other's lives in a much more prominent way than we used to be, so it helps to understand what it's like to live in an Afghan village, for example, as opposed to a city like Toronto – what's different and what's the same. But I think there are some things that are common that can unite people through an art form like film. Take movie stars and how thrilling it is to watch somebody on a giant screen that you identify with; to have the chance to see that person in the flesh and be in the room with them. We deliver that with TIFF, which is great – but it’s not just Hollywood stars. Certainly in a city like Toronto, if you bring in stars from South Korea, India, Egypt, you can easily get audiences as big as you can when you bring in Hollywood stars. It’s exciting to see that the connection people have with their screen idols is really universal. Do you see contrasts in the approach to how people screen films in different parts of the world? There's a range of ways films are presented at festivals around the world. In Toronto, it's hard to have the ability to do outdoor screenings for much of the year, but that's something that's quite common in warmer parts of the world. I have great memories of being in Ouagadougou, Burkina Faso for outdoor screenings. Sometimes, there are 600 or 700 hundred people watching a movie together under the stars and there are bats that swoop down right as the dusk is descending every night. It is a really magical thing – it’s a little bit strange the first time you experience it, but it's beautiful as well. There are some things that are very common from place to place, and then, other things differ – even something as simple as snacks. We're so used to popcorn being a go-to here in North America, but elsewhere, popcorn is not the thing. In South Korea, when I first went to the Busan Film Festival, it's dry squid; you get a little package full of dried squid and you have that watching your movie and people munch on that like they would on popcorn here. It really varies from place to place. Every country has their own different movie-going traditions. I read that it's important for you, when you're in the selection process, to go to the places from which the films are coming in order to understand the people and the place. Can you tell me about that? It's really easy now because of digital technology and the Internet to just ask someone to send you a link to a screener of a film and watch it on your computer screen. But it's not the same as going to the place. When you go to the place, you get the full experience. First of all, you're taken out of your own world. You're put in some other place. If I go to Calcutta or Chennai, I don't know too many people there, and I'll be taken to a screening room or an editing room where someone is still working on their film. You take off your shoes when you go inside, and the sounds and the smells and the sights and the textures are all different from what’s familiar. You might be offered sweet, milky tea and some little sandwich – all of those things enhance the experience of getting into the film. And when you're watching the film, no matter what kind of movie it is, there's a social reality that's represented in the film and in things that people take for granted; how the street scenes look, how a living room in Calcutta is different than a living room in Vancouver. All of those things that you're watching on screen have a resonance in the world that you're in because you've transported yourself – and that makes a big difference. Also, you get to meet the filmmakers and talk to them. They'll tell you things that you won't get in an e-mail or even in a phone call; you learn more about how and, especially, why they made the film they did. So how do you then bring those experience back to people who are viewing it here? Well, you try your best in terms of how you frame the film; how you write about it, how you talk about it. But also in how you present the film when the filmmakers have arrived and the festival is on. I try, as much as I can, to capture the experience that I had when I first saw the film and invited it to join TIFF. Sometimes those stories really help an audience get in the mood. As a representative of the Toronto International Film Festival, you, by default, are a representative of Toronto. What does that responsibility mean to you as your globetrotting and meeting people? The most important thing, I think, is for people to be aware that there is a vibrant, diverse culture in this city. And I think that's still a work in progress, though the music that's been coming out of the city has helped – Drake, The Wknd. In the early years, when I first started travelling, I think I would sometimes get a double-take when I would land as the representative for the Toronto International Film Festival – they wouldn't expect a black person to be doing that job; they would assume I was American and I’d have to tell them “no, we have a lot of black people, too.” So those kinds of things. But I think that's changing; the things that we promote about this city and about the country – the diversity and the youth of the nation and the fact that it's evolving so quickly – that's, I think, a message we still have to deliver. And how then does the festival help in delivering that message? I think in the range of the films we show every year at the festival – 70 different countries are represented usually in our line- up – in the diversity of our audience, the fact that we can bring in filmmakers from all over the world to present their work here. And they get to meet the audience here and then take those stories back. I think that really helps a lot. A filmmaker from Russia can present a film here, and in the Q & A, they will have one or two questions in Russian, which is kind of cool. And very few other festivals can deliver that. ** This interview has been edited for brevity & clarity.